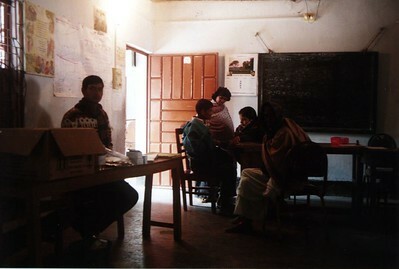 I travelled to Bangladesh (Dinajpur district) for three months during 2001--2002. I spent most of my time at the LAMB hospital, learning about the local culture and also sharing medical experiences with the local workers. All photographs were taken with a Sigma SA300-N and scanned. Most photographs have not been post-processed, although some probably should be! Photographs by David Fong. 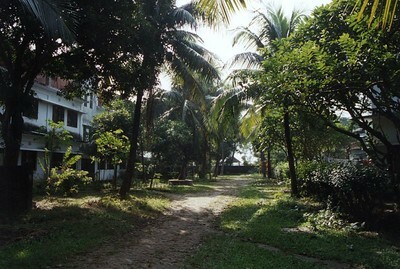 Dhaka Medical College corridor. The best known hospital in Bangladesh. (I spent almost all by time at the LAMB hospital, which is a long way from Dhaka). 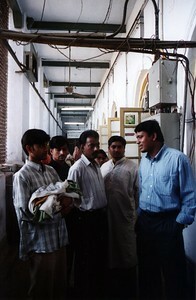 This corridor is outside the high-level care obstetric ward. The rate of pre-eclampsia and obstetric complications is quite high in Bangladesh. It comes as a shock to a Western-trained doctor such as myself. On the other hand, many babies in Bangladesh are born at home. 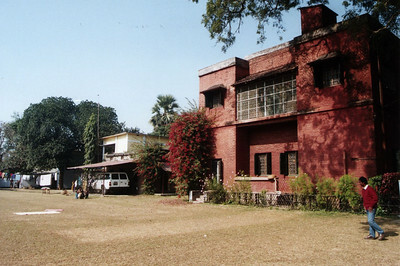 Dinajpur Baptist Mission. 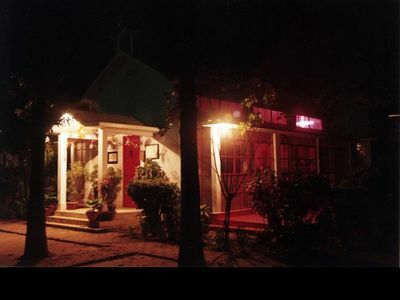 One of the old out-stations of William Carey. Fieldwork. The average Bangladeshi rice farm is larger than the average Chinese rice farm. However, the average Bangladeshi family is also a lot larger than the average Chinese family. 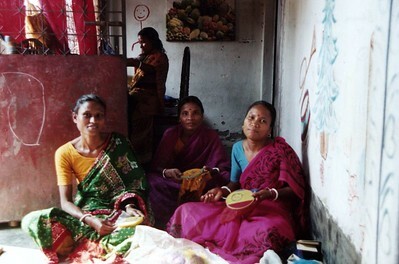 Women working on handcrafts. Bangladesh also has a flourishing rag-trade, providing T-shirts to the whole world. Hindu weddings are colourful and quite interesting to some-one like me who has only been exposed to Western wedding traditions. 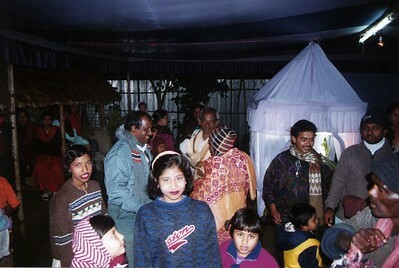 For a start, the wedding ceremonies go on for days (in Bangladesh, anyway). The bride is also obliged to fast for much of the day, to demonstrate how love-sick she is! Her head bridesmaid is obliged to give her moral support and encouragement during this difficult time. The LAMB hospital and residences are surrounded by a wall. It is a quite a green oasis inside. Then again, much of Bangladesh is a lush green zone thanks to the copious floods and available ground-water. 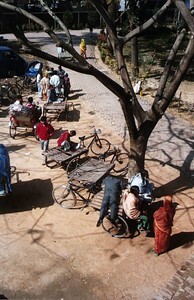 The rickshaws are all bicycle-driven. A ten-minute ride costs a foreigner about fifteen taka (or less, if you are prepared to haggle in Bangla). A hundred taka is approximately 100 British pence. I stayed in a guesthouse. Furnishings were spare, and lighting intermittent. Other than the mosquitoes, I was quite comfortable. Bring plenty of repellant, and find some insect spray fast! Foreigners, tourists and bulky SLR cameras were still a strange sight in north-west Bangladesh. People naturally line-up for any photographs. 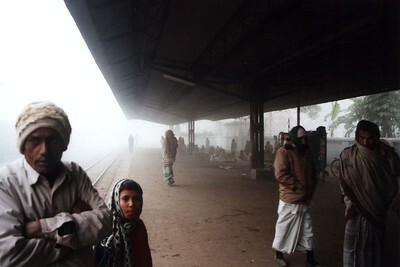 Rangpur station. 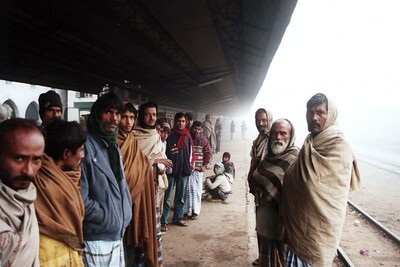 In Bangladesh, the dry season is also the cold season and extends over December and January. 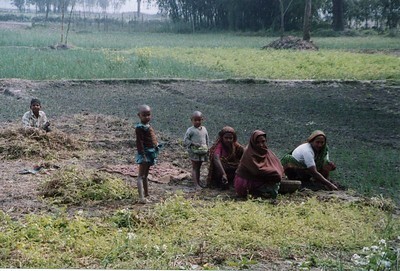 Some people in Bangladesh are both landless and homeless. They can often be found at railway stations. Static Clinic Monitoring This photograph would have benefited from either a faster film speed, or a digital camera! 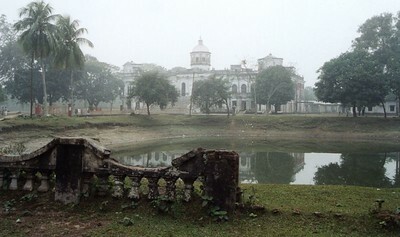 Tajhat Rajbari ('Tajhat Palace', in Rangpur). A grand old mansion, somewhat run-down and no longer used by anyone. It was used a few years ago as a district court. This picture was taken on a cold winter morning. At the time I visited, there did not seem to be any official entry to the inside of the building, but the caretaker on the day gave some companions and myself a quick no-commentary 'round the building' tour. I suppose this kind of building inspection is more meaningful if you are glancingly familiar with the layout of other mansions and palaces. On sunnier days, the surrounding grounds are a popular picnic spot. 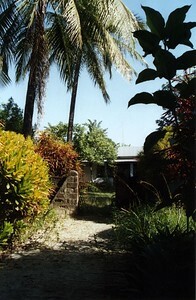 The surrounding grounds are free for public use. Some people have computers in Bangladesh. There was an active trade in older Pentium machines when I was there. 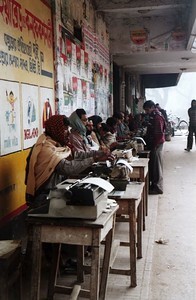 However, I had not seen for years so many manual typewriters in one place as I did in Rangpur....I learnt to type on a manual typewriter, so this scene brings back many childhood memories. I had never experienced a Christmas 'season' until I went to Bangladesh. Since Christians, and advertisers, are a minority in Bangladesh, there is no prolonged period of jingles and Christmas advertising campaigns. 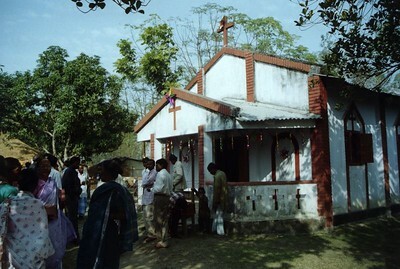 However, the Christians do participate in a variety of celebrations for many days prior to Christmas. Christmas services are also rather long, compared to Western churches. I think this is because 'Christmas dinner' is NOT a Bangladeshi tradition!